The Friends of the Sauk River are proud to announce the creation of a "Canoe Library" This library will allow all community members to check out the gear needed (canoes, life jackets, paddles, car top carriers) to paddle along any stretch of the scenic Sauk River. If you are interested in checking out the canoe's please call 320.281.9050 or email friendsofthesaukriver@gmail.com. If your looking for a map, please check out the Minnesota DNR's website here, Sauk River Map. A picture of the new Wenonah Prospector's that will be available for check out, in the new canoe library. The Friends of the Sauk River have started to raise money for phase two of the canoe library: the addition of 8 kayaks. If you would like to help with this part of the library, please click on the "Donate" button to the right, all money will be used for enhancement of the library. The Friends of the Sauk River would like to thank the following sponsors for their generous support of the Canoe Library. Bending Branches graciously allowed the Friends of the Sauk River to purchase their Traveler paddles for a reduced price. There website can be found by clicking here, Bending Branches. The Outdoor Foundation/The North Face Company awarded the Friends of the Sauk River a $2,500 grant to get youth active in the outdoors. More information can be found by clicking here, Outdoor Foundation. 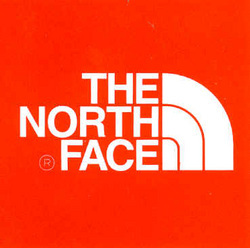 More information can be found by clicking here, The North Face. The Friends of the Sauk River was awarded a $2,000 grant to help get community members active in the outdoors. More information about the foundation can be found by clicking here, CentraCare Foundation. The Coleman Company donated $1,500 to purchase Stearns Life Jackets and other assorted gear. More information on the Coleman Company can by found by clicking here, The Coleman Company. The St. Cloud Noon Optimists donated $500 for the purchase of youth life jackets. 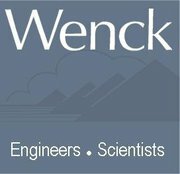 Wenck Associates gave $100 towards the Canoe Library. Learn more about them by clicking here, Wenck. Clear Waters Outtfitting Company offered a huge discount on the price of the canoes. They also provide winter storage for the Canoe Library. More information can be found by clicking here, Clear Waters Outfitting Company.